And we come to Cosette. I highly doubt that she’s anyone’s favorite character in Les Mis, but she’s not evil or vindictive; she’s just sort of blah. Has a sad childhood, saved by a rich man, falls in love with Marius upon first glance, etc. etc. I actually did not mind this character until about the second time that I watched Les Mis the movie and became super annoyed with Amanda Seyfried’s portrayal of Cosette. Now let me preface my my critique of Ms. Seyfried’s performance with this statement: I have no musical ability whatsoever! I played piano for 3 years when I was a kid but aside from that, I have no further musical history therefor the following statement is purely based on personal preference. She sounds like she’s singing in the highest key she possibly can while running out of breath, and shaking uncontrollably while doing so . I understand vibrato, but hers is a little extreme. That is purely my opinion, I don’t buy her as Cosette (loved her as Karen in Mean Girls though!). That is how A Heart Full of Love should sound (sans the whole Nick Jonas vocals)! Note that Katie Hall does not start singing in this song until 1:49; prior to that the female voice you are hearing is Samantha Barks’ (Eponine). I would have also loved to see what a young Kristin Chenoweth might have done with this role; killed it I’m sure! 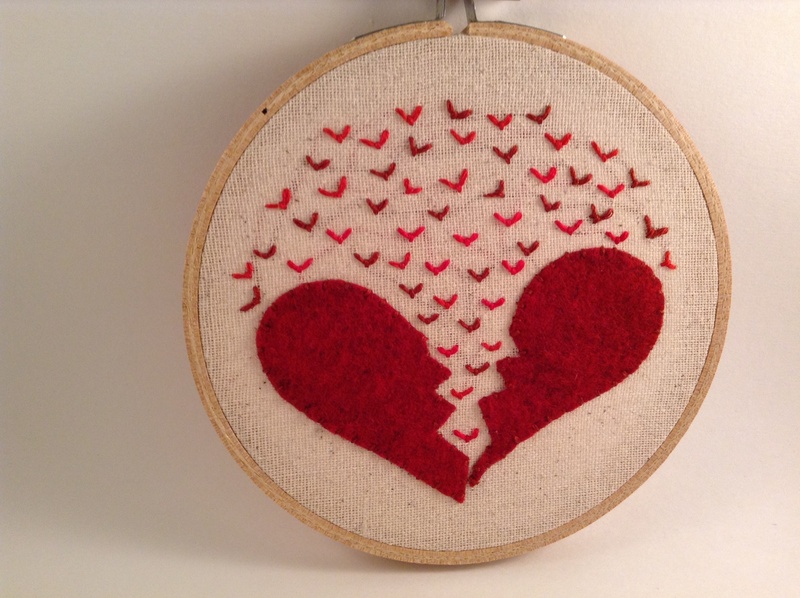 And this is how A Heart Full of Love should be stitched: with a little felt heart bursting with fly stitch love! This is not a sad, broken heart but rather a heart so full that it is exploding with love! While Les Mis does have an awful lot of doom and gloom, the story of Cosette and Marius is at least one that ends in happiness. 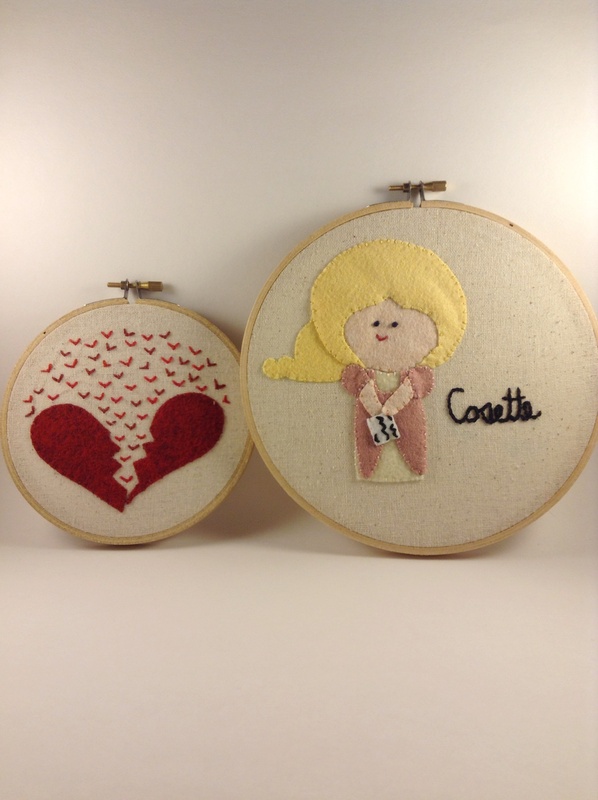 And now you have been properly introduced to Cosette, we’ll meet her beau tomorrow!